Nucl. Phys. At. Energy 2017, volume 18, issue 4, pages 319-330. Received: 22.09.2017; Accepted: 28.12.2017; Published online: 20.02.2018. Abstract: Results of experimental study of low-energy unbound first excited and ground states of 5He and 5Li nuclei, based on the analysis of inclusive and two dimensional coincidences spectra obtained as a result of the interaction of α + (2H, 3H, 3He), are presented. Keywords: unbound state, 5He, 5Li, inclusive spectrum, kinematically complete correlation experiment, spectrum of coincidences. 8. O.K. Gorpinich, O.M. Povoroznyk, B.G. Struzhko. Complex research of binary and few particles reactions by α + t interaction. 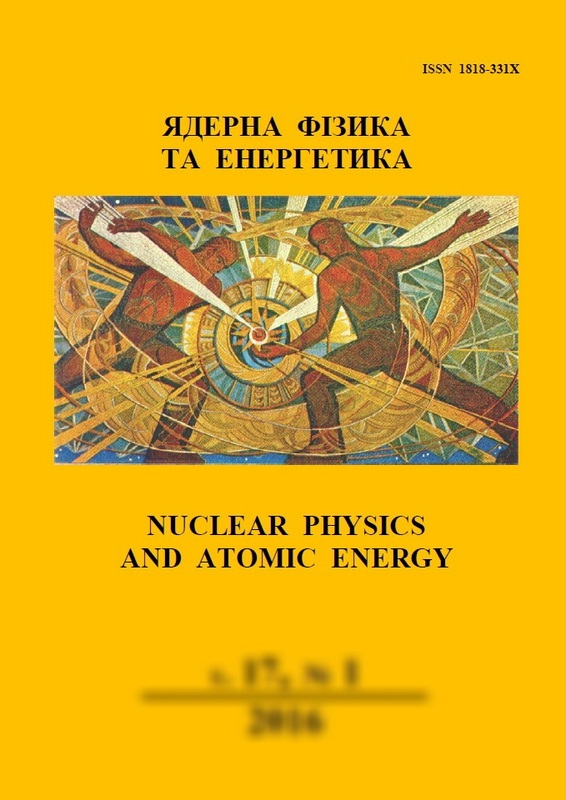 In: New Trends in Nuclear Physics. Proc. of the third Kiev’s Intern. School on Nuclear Physics (June 22 - July 1, 1992) (Kiev, 1993) 365. 30. E.R. Kinney et al. Differential cross sections for the 6,7Li(γ, d) 4,5He reactions at Eγ = 100 and 150 MeV. Bull. Am. Phys. Soc. 27(7) (1982) 708.